We all need a little extra care at different times in our life. Benetas can help you or your loved one be more comfortable and safe at home. Get the support you need – in the place you want to be. Have you noticed that you or your loved one might need some more assistance at home? It’s important to have an open conversation with your family about the kinds of care that would help. Recognising the need for extra support can be a big step, both for people who need care and carers themselves. Remember, the goal of home care is to help you, your family member or your friend continue to live at home for longer. Research has shown that receiving professional support lowers the risk of entering permanent care. You have a lot of options available. We can help you get started. Call 1300 23 63 82 to speak to a friendly member of the Benetas team. Support can come from many places – family, friends, neighbours, community groups, churches and more. As we age, we sometimes need care providers like Benetas to complement that support. Benetas offers a wide range of services tailored to meet your needs and goals. You can access services for the short term or long term, through a day program or overnight. And while you can pay for them privately, you also may be eligible for government funding. We want to help you understand all the options on the table that could let you or your loved one live at home for longer. Call us on 1300 23 63 82 to find out more. Applying for home care funding might seem complicated, but with some guidance, we can make it a little easier for you. You'll first need to complete a referral to My Aged Care (MAC). The Aged Care Assessment Service (ACAS) will then evaluate yours or your loved one's needs for funded support at home. The assessment will then be entered into the My Aged Care system, where you’ll be approved for one of four levels of funding. When a funding package at your level has become available, this will be assigned to you. You’ll then nominate your chosen service provider (Benetas, we hope!) and enter into a service agreement. Then you can begin to receive extra support at home. If you need support right now, we can help with that too. Our Customer Centre advisors would love to help you navigate the government funding system, even if you don’t end up choosing us as your provider. Call us on 1300 23 63 82 for a free consultation. The government assessment process can take time, so you might want to consider private home care as an interim measure. As a private client, you could start receiving your care in as few as 1-4 days. Although you won’t receive a rebate, you’ll have access to all of our high quality services without the hassle of waiting lists or extra paperwork. 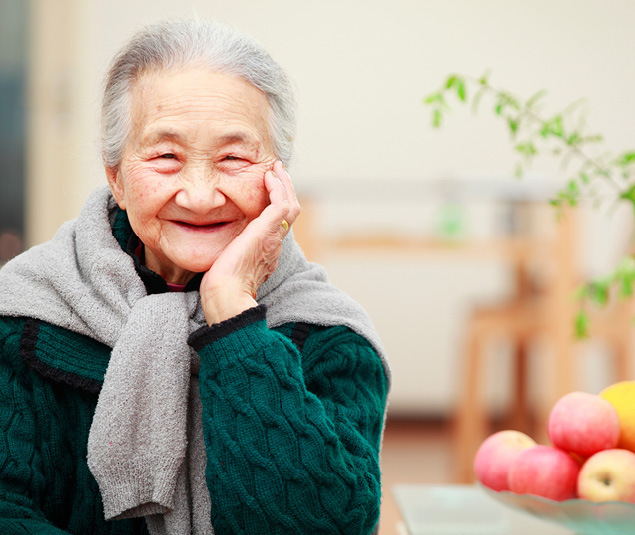 Good options for short term care include in-home nursing and respite services. Immediate support can also be for those who have an assigned package of care and need services immediately. Call us on 1300 23 63 82 to get your services immediately. Are you or a loved one in need of temporary care? Maybe you or they have just returned home from a hospital or rehabilitation centre, and need extra support while recovering. A short spell of assistance could involve home care services, in-home nursing or respite care. These services are usually self-funded, but can be government subsidised in certain situations. 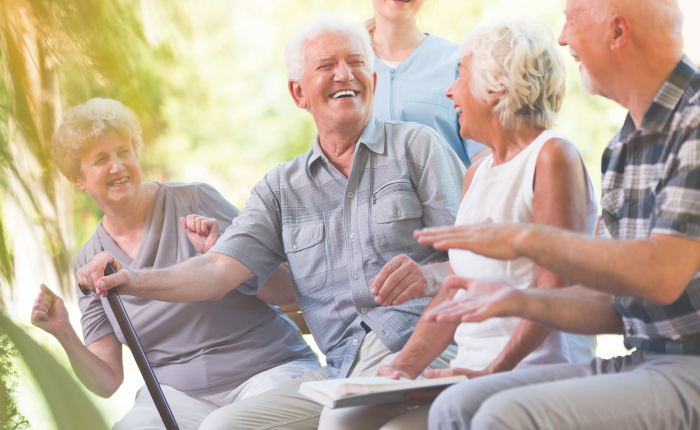 Benetas private home care can support you or your loved one through a period of transition – whether recovering, moving, or switching aged care providers. Or get in touch on 1300 23 63 82 to discuss your situation and find out what’s available. Unhappy with your current home care provider? You can move your package over to Benetas and have any unspent subsidy come with you. Find out how the transfer process works here. After the transfer’s complete, we can begin providing our support so you or your loved one can live at home for as long as possible. If your current provider has an exit fee, we can show you how to avoid it. Exit fees can only be withdrawn from unspent funds – if you spend all your subsidy, you can’t be charged. To understand how this works or learn how Benetas is different from your current provider, call us on 1300 23 63 82. If you’re caring for an older person, it’s important to care for yourself. Benetas respite services can take care of your loved one while you take some much-needed time for yourself and catch up on the things you need to do. Carers do incredible work, but all too often ignore their own wellbeing. That’s why we support them as well as the people they care for. Find out more on our Respite page, or call us directly on 1300 23 63 82. Our care teams are made of people who the life blood of our organisation—and the key to your loved one’s wellbeing. So although qualifications, experience and background checks are all a must, we always look beyond the résumé. At Benetas, our people are truly committed to the work they do. They genuinely appreciate the people they care for and forge strong bonds and friendships. Many also speak foreign languages and understand the sensitivities of different cultures. Calculations are based on a Partnership package management and are designed to be indicative and act as an aid, and, as such are estimates and do not constitute a quote or a binding assessment. Why choose Benetas Home Care? Our home care services aren’t delivered by a different stranger every week – members of our team build real friendships with their clients. That’s because we believe that the best way to care is by actually caring. Our staff are deeply experienced and constantly improving their skills. Benetas is a not-for-profit organisation with more than 400 volunteers, so you can rest assured that all the money we make goes straight back into our services. For 70 years, our sole focus has been to provide quality aged care to Victorians. It’s that specialist experience that makes us a leader in our field. 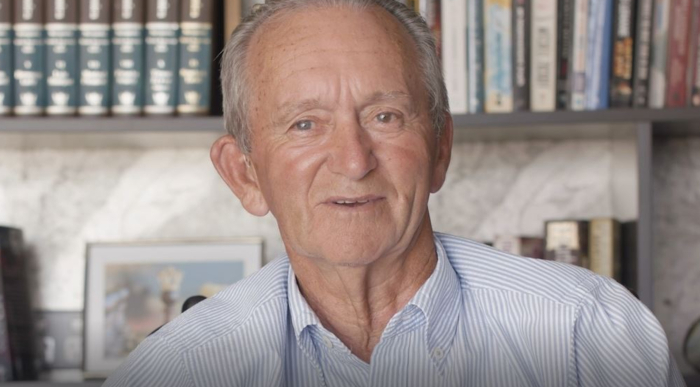 Allen has multiple sclerosis, but that doesn't stop him from leading a fulfilling life with his wife, children and grandchildren. The chronic disease means he requires some assistance moving around. With support from Benetas Home Care, Allen and his wife are able to enjoy their retirement together at home and within their community. How do I apply for a government Home Care Package? As a first step, you need to call My Aged Care (MAC). You will be asked questions over the phone to help determine your loved one’s needs and care arrangements. This takes at least 10 minutes. Please ensure your loved one is with you during this time as they will need to provide consent. You will also need to have your Medicare card number handy. Alternatively, you can make a referral online for your loved one. Simply download our brochure to Make a referral to My Aged Care. This is just the start of your application process. 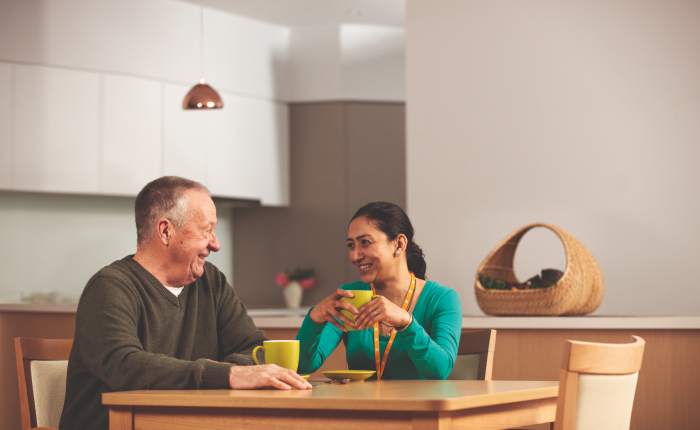 Learn more about about Navigating the home care system or contact us today on 1300 23 63 82. Government Home Care Packages include a broad range of services. However, if you require a particular service that your package doesn’t cover, an out-of-pocket fee may apply. Benetas can help you determine which services you need and how to make the most of your allocated package. What are all the Home Care services available? The great thing about Benetas is how easy it is to adapt our services to your loved one’s needs. With diverse domestic and clinical care services available, you’re free to choose just one or a combination of many. We also offer all types of support including one-off, short-term or regular, ongoing care. We can also help you get the most out of your government funded package. Housework: We can take care of the washing, ironing or vacuuming – or whatever else your loved one needs – giving them more time to enjoy life without the tiring chores. Shopping: If getting to and from the supermarket is taking its toll on your loved one, a Benetas carer can either join them or perform the entire trip for them (including carrying and unpacking). Cooking and diet management: Does your loved one have special dietary needs? Is cooking nutritious meals becoming too much? If so, Benetas Home Care can help plan and prepare healthy home-cooked meals. Transport: We understand that you can’t always be there to take your loved one to and from appointments and events. So why not let Benetas Home Care lend a hand? Day-to-day tasks: Tasks such as showering, dressing, grooming and toileting are basic human needs that not everyone can manage alone. Whatever your loved one requires, Benetas Home Care can help. Companionship: Whether it’s a simple chat, short stroll, game of cards or a cup of tea, we believe companionship is often key to an older person’s vitality. For a full list of services, please download our list of care services. If your loved one is ill, recovering from an operation or needs nursing care for any other reason, Benetas can help for as long or as little as you need. At Benetas, we understand and greatly respect the role of unpaid carers – family and friends who step up to help the older people in their lives. They are often the reason their loved ones are able to stay at home for as long as they do. However, carers need caring too. Which is why carer respite is so important. If it’s time for a break, Benetas can step in at short notice. We can care for your loved one while you recharge – ensuring they’re well looked after when you’re not there. Visit our respite section to know all your options.